The stable have had a quiet June with the addition of a number of youngsters to the ranks but this week it kicks back into gear. 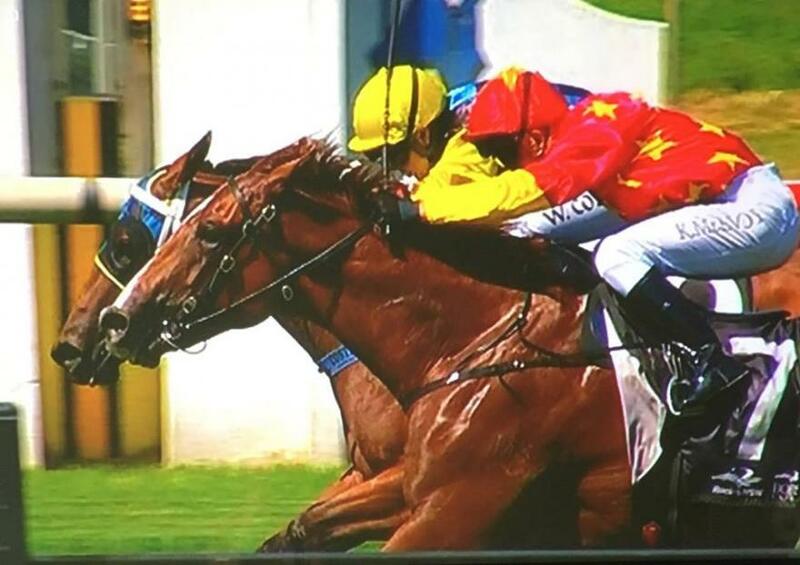 Yesterday the stable were to have five triallers however with a heavy track the Rosehill trials were abandoned. A reconfiguration of programs has resulted in the return of Kontiki & Bonbonniere to the races this week as well as the return of Let's Dream Big. The week begins at Wyong with Let's Dream Big resuming in Race 3, a 2yo HCP over 1000m. 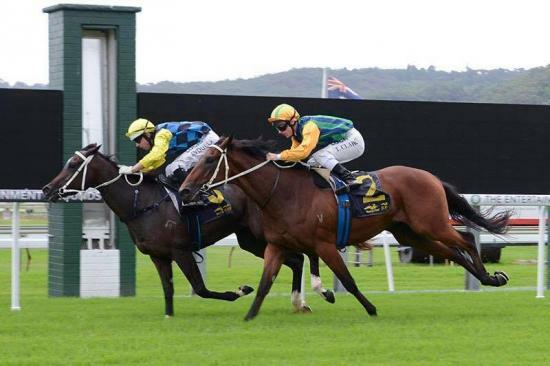 The daughter of Stryker has had three starts including a debut win at Kembla Grange. She resumes off a solid trial effort at Rosehill on June 28th. Winona Costin retains the ride. Saturday's Kembla meeting will see three Curtis runners. Kontiki, a big bold front running type broke his maiden over 1500m at Hawkesbury earlier in the season. He will resume in the Class 2 1300m event. Not So Precious will have his second start in a race in the Maiden 1400m event. The son of Not A Single Doubt had the worst of it at his Beaumont debut, lost and caught wide throughout. The extra journey should help the flashy chestnut to find his feet. The addition of Jeff Penza is a positive. Promising filly Bonbonniere will resume in the Class 1 1000m race. The filly has not been seen since she was sent for a spell following her maiden win at Gosford (Pictured above). She has had two starts for a 3rd & a win and has progressed beautifully this preparation. She is the ultimate professional and the stable are very much looking forward to a successful campaign with her. The next trials, now on July 19th will see Stakes placed Lasqueti Spirit resume in preparation for her Spring campaign. The ultra tough two year old filly finished third in the Fernhill HCP last preparation. She will be aimed for races such as the Flight Stakes and Crown Oaks. A very exciting time ahead for her connections. Photo - Lets Dream Big - Kembla win. We have had a good number of yearlings come through our barn in the last month. Helmet x Parriwi colt - Along with our Snitzel filly heads the line up as the one nearest to a debut public appearance at this stage. He has done nothing but impress everyone at the stable, be it his trainer, rider, breaker, farm manager. The colt is now having a freshen up and will return at the end of July to prepare for the official 2yr old trials. There are very limited ownership opportunities remaining in him. Snitzel x Driven Snow filly - Has really impressed since entering our stable. Owned by BK Racing & Breeding the filly looks promising. She is currently spelling and she too will return for the official two year old trials in September. Husson x Kaysean D'Sunshine - Bred & owned by our good mate Andrew Davison, this colt's brother Zadok The Priest has now won 3 on the trot at Muswellbrook. He is a very similar type to his brother who came through our stable as a young horse. He is a well grown, confident colt and has been pleasing the stable since his entrance. Pins x Sweet Lady filly - She has entered our stable this week. She was purchased at the June Magic Millions sale. Her breaker was very impressed with her action, confidence and overall attitude. She is lovely natured filly and has been very popular amongst prospective clients. As the only grey we have in our yearling line up ownership opportunities are closing fast. We have a range of youngsters that will come through our stable in July including Bonbonniere's full sister (Casino Prince x Mandel Set) and Press Report's half sister (Olympus x Grenada).